One of the things that I love most about being a writer and, I think, one of the driving factors behind how far I’ve come in the past year, is the wonderful “writer tribe” I’ve found myself a part of through the magic of the interwebs. Having “colleagues” who can share advice and experience, offer encouragement and understand your s truggles is really a wonderful thing. This past week has been very exciting for some members of my writing tribe, with 2 new releases in the last couple of weeks! I thought I’d tell you about them. 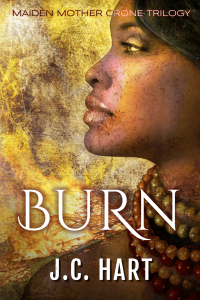 First up is Burn by J. C. Hart (whose website you can visit here). It’s a story about a woman’s struggle to fulfill her dying son’s last wishes. I haven’t read it yet, but I recently read the author’s debut novella In The Spirit. I quite liked it, and honestly I find the synopsis of Burn a lot more interesting so I’m really looking forward to reading it! Plus, with a series name like “Maiden Mother Crone Trilogy”, it was bound to catch my interest! 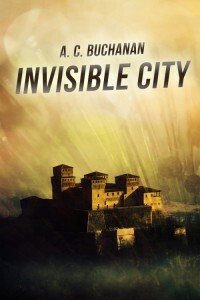 The second book, released in the beginning of the month, is Invisible City by A. C. Buchanan. It’s a novelette about trauma and a city that never existed. I actually just read it on my commute the other day and I really enjoyed it. Particularly the world-building, I was impressed how real the places and cultures in the story felt even though it was so short. Making a world that’s quite different from this one feel genuine and whole, especially on a limited number of pages, is one of those skills I really admire. There’s one last book I’d like to mention, which isn’t a recent release but an upcoming one: The Caretaker of Imagination by Z.R. Southcombe. It’s a children’s fantasy story, with a lot of laughs and, from the previews I’ve seen, some lovely illustrations! It’s out on March 21st so keep your eyes peeled. It really is super cool to have such productive, talented friends! Though reading through this post I feel a bit left out being just plain old “Emma Lindhagen” and not “E. S. Lindhagen”, haha! Hello, World! It’s Emma calling. This entry was posted in tribe news and tagged a. c. buchanan, friends, j. c. hart, news, releases, tribe, writer tribe, z. r. southcombe by Emma Lindhagen. Bookmark the permalink.